How to Convert YouTube to FLAC With YouTube to FLAC Converters? A few days ago I received an email from my friend who was going to study abroad. He told me that he was preparing for the courses and recently he realized that many lectures could be easily found in YouTube. But the problem is that he doesn’t have any video player but a MP3 player which can play FLAC audio as well. He is unwilling to spend extra money on video player and wonder if there is any solution to help him play the videos on his MP3 Player. Furthermore, if it possible he prefers FLAC to MP3 because FLAC is much better than MP3 with best quality. From the above, it is impossible to play a video on any devices without display screen. Nevertheless, there still have some methods to convert YouTube videos to other formats which can be supported by such devices. For example, using YouTube FLAC converters to convert YouTube to FLAC is definitely a good way to solve this problem. Here in this part, what I will introduce to you is the top 3 YouTube to FLAC Converter. The first and also the best one is Leawo YouTube to FLAC Converter, a professional video to audio converter program. 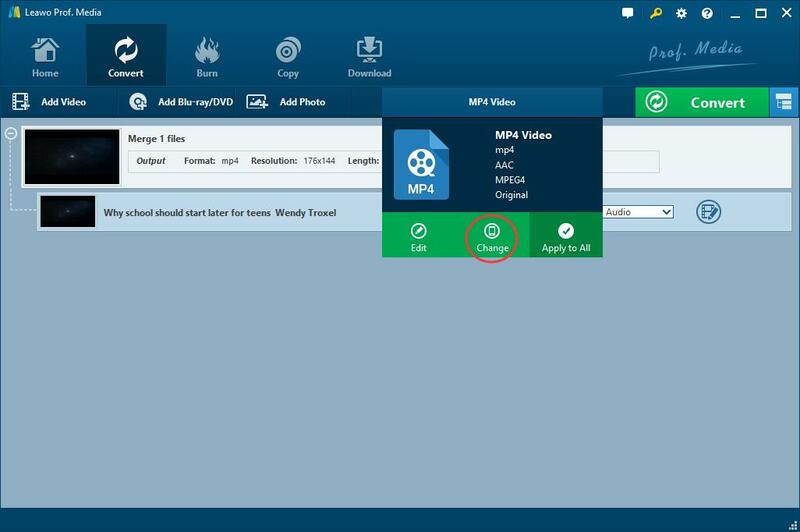 It is one of the most popular converters in the world which supports more than 180 different formats including MP4, AVI, FLV, MKV, MP3, FLAC etc. 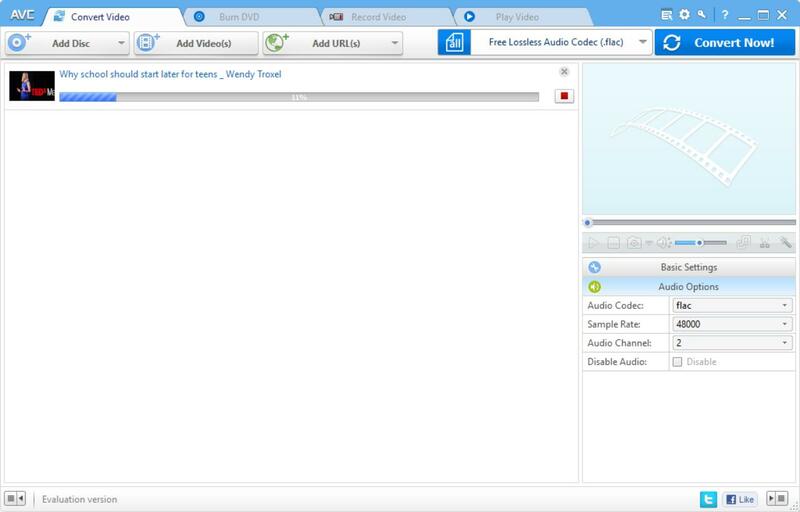 To be brief, you just need a couple of very simple steps to complete the YouTube to FLAC conversion which can be reduced to 2 main words-Download and Convert. I will show you how to use Leawo in the next part. 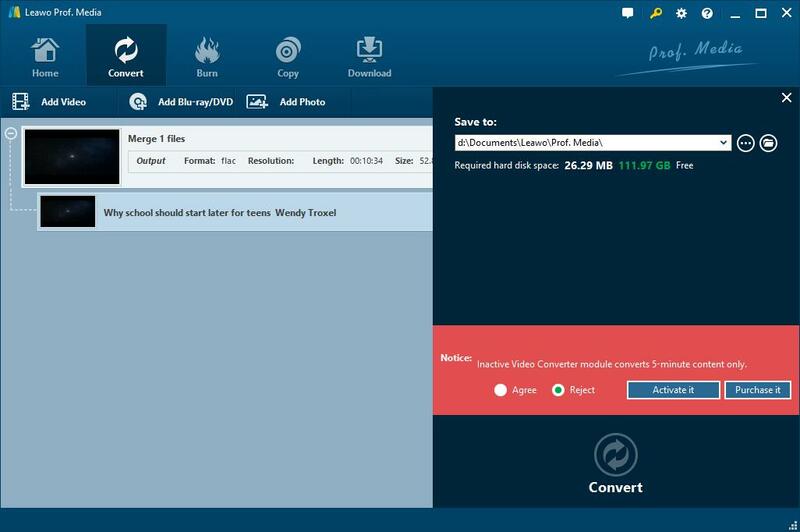 The second one is Any Video Converter Ultimate, also a popular YouTube downloader and converter around the world. It is mainly used for downloading YouTube videos and extracting audio from them. Of cause you can use it to convert YouTube to FLAC without obstacles because the procedure is same as the Leawo Video Converter. What is the difference between each other is that AVC is a charging software but you can use Leawo without paying any fees. The last one I want to introduce to you is OnlinYouTube.com, an online converter which is a good choice as well for video conversion. To convert YouTube to FLAC you just need to enter their website instead of downloading any software and paste the URL into the searching box. After selecting output format you will get your YouTube audio from your email unless you give a wrong address to them. Unfortunately, you also need to pay some money for using it just like AVC. Open Leawo Prof. Media to enter the main program interface and find the “Video Downloader” button, click it and then you will enter the homepage of YouTube. There are 2 ways to find the video that you want, pasting the URL of the video into the top box or searching its name online. When you already find the video you can open the submenu by tapping the mini green arrow at the right edge of the main interface. After that you can choose an output format for this video and click the “Download” button. What you need to do next is waiting. Note: If you have a need to download more than one videos. 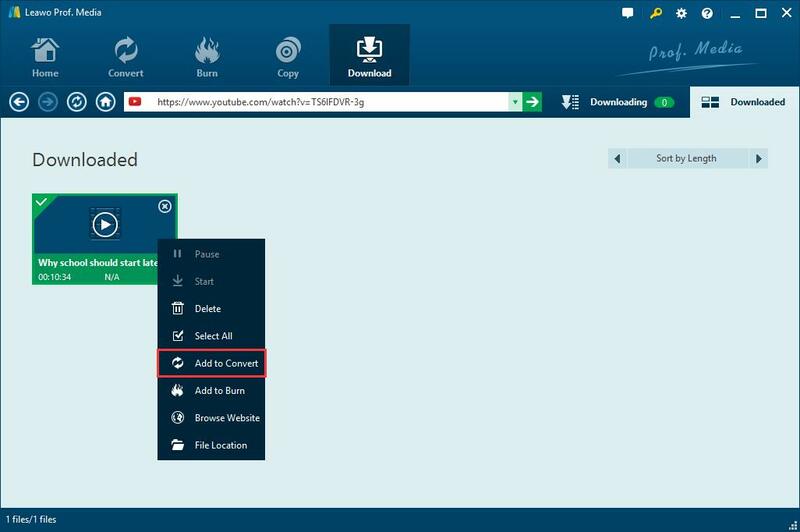 Don’t worry about that something might gonna wrong because you can manage your downloading videos by clicking the “downloading” button near the URL input box.When downloading task is done, check it out under Downloaded tab. As mentioned above, Leawo Video Converter is the best choice for your video conversion needs because it enables you to convert video to audio without any loss of quality. In addition, this powerful converter offers many practical functions such as video edition, super-fast conversion, 2D to 3D conversion and so on. There is no doubt that it can help you convert YouTube to FLAC within perfect quality. After the video is downloaded by Leawo Video Downloader, click the “Downloaded” button on the right side of the menu and then you can find your YouTube video. Right click on this video you will get a drop-down list, now you can start the YouTube FLAC conversion on condition that you select the “Add to Convert” button. Click the drop-down box next to the “Add Photo” button and select “Change” option on the list. Then on the child window, select “FLAC″ from “Format” column as output format. You can also use searching box to find FLAC format by inserting “flac” into it. Click the green button you can set the output file on the popup sidebar. As long as click the “Convert” button, it won’t be long before you can enjoy your YouTube Video on your MP3 or any devices which can play FLAC audio. As you can see, both Leawo YouTube Downloader and Video Converter do a very good job in YouTube FLAC conversion. To tell the truth, you can hardly find such convenient and efficient software like Leawo to help you convert YouTube to FLAC easily. To finish this conversion you just need 5 steps and then you can enjoy your YouTube audio anywhere if your device still works. How to Use Audio from a YouTube Video as An Alarm? Can I Play MKV Files on Sony Bravia TV? How to Play AVI files on Sony Bravia TV?